Baster craft is basically from Baster a small village in Chattisgarh.The brass figures depict lifestyle,their activities like farming,hunting etc. 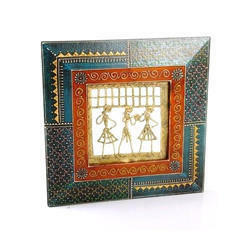 A wall piece made from these figures enhances the beauty of walls. We want these wholesale orders from Mumbai, Navi Mumbai,pune and Maharashtra and Goa resigons. we want retail inquiry & orders from Vashi,Nerul,kharghar,koperkhairane,Thane, Airoli areas. We offer Baster Wall Frames to our clients. 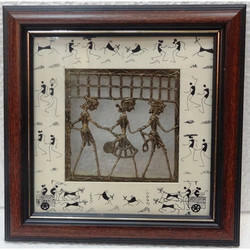 Brass Warli Work is basically from Baster. Tribles of Baster make these unique brass art with long process. They look beautiful on walls and give traditional look. they are liked all over the world. We offer Brass Wall Decor.